Recently I attended the Dublin Bloggers Meet organized by Samantha at AllTheBuzz. Niamh from Nima Brush was there to give us a demonstration of some of the brushes they have in stock. The first thing she showed us though was the Nima Mitt. 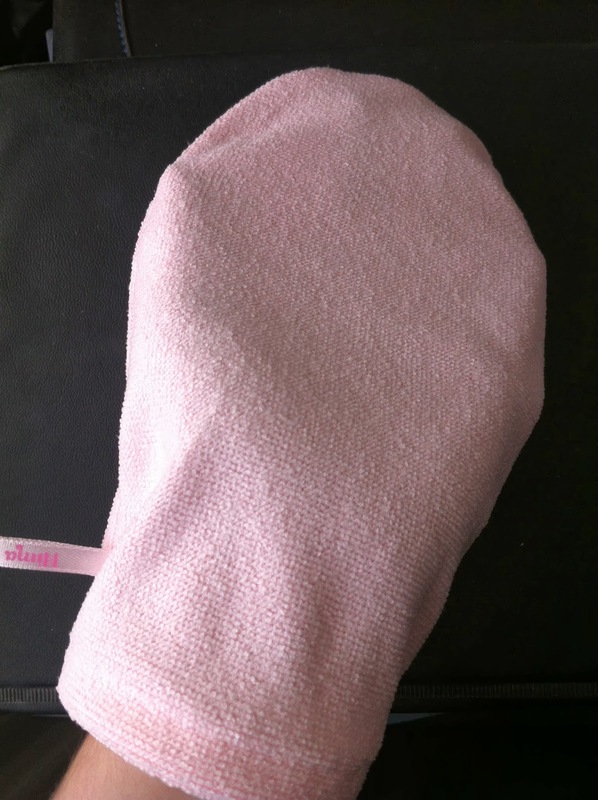 This is a pink hand mitt made from tiny micro-fibers closely woven together that you put over your hand and wet with water to take off all your make up. At first I was a bit sceptical while watching the demonstration but as Niamh went on I got more intrigued! She talked about how face cleansing wipes can just make your skin drier and damage it. I have this problem as my skin is very sensitive and any face wipe tends to dry out my skin. I was also having a problem with spots on my chin at the time. Even though I was keeping my skin clean and fresh using cleansers and wipes, it just wouldn't get any better. So after getting home from the bloggers party i decided to go straight online to buy the nima mitt. It cost only €12.95. I was happy with this price because of the length of time the mitt should last. Niamh was clear that after using the Nima Mitt we should always wash it straight after use or it will get ruined in a shorter time. I was very excited to try this out. 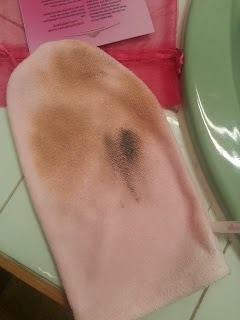 At the end of the day I grabbed the nima mitt,wet it and spread it over my skin, making sure to get all my little rough patches of dry skin and to get all the make up off. I was amazed at how well it worked. It took all my make up off and any bits of dry skin without leaving my skin feeling sore or tender, I was so happy with this outcome but decided to try it for a few more days before making up my mind about it.. My skin has a habit of reacting a couple of days after the use of new products for some reason. Then your Nima Mitt is ready the next day to use. I will admit there were a couple of days i had went on a night out and fallen asleep in my make up. When i woke up there were a few patches of dry skin on my face which were a little sore, but i took out the Nima Mitt and used it in the morning. making sure to get over these little patches and all the make up again. And to my amazement it really did make my skin feel and look a lot better instantly. I've been using the Nima Mitt for about 2 weeks now and I love it! Since getting it i have recommended to my mam and sisters and will continue to recommend it because i think every woman (especially one with sensitive skin) should have one of these.